A common misconception is that once you’re a member of the military that money will never be a problem again. Unfortunately, the economy affects everyone and you may find yourself in a position where saving money is a necessity. Most of America is looking to save some money wherever possible. Luckily, as an active or retired member of the military there are some ways that you can save some extra money. You don’t have to be defeated by the ever-rising cost of living. The Veteran’s administration offers financial assistance to military members. You can get a number of different benefits from the VA including Disability Compensation, Life Insurance, Health Care, Education, and even help with house related loans including home loans. Applying for VA benefits is relatively easy and can be done mostly online. Everyone can agree that being healthy is important. Sadly, the cost of healthy living can be very high. Gearing up and staying healthy doesn’t have to be a burden. A number of health stores, fitness stores, and gyms offer discounts to members and veterans of the military. Vendors like Foot Locker, Eastbay, Coleman and Champs all offer a military discount. You can also get a discount at GNC and Gold’s gym. Medication isn’t cheap. In fact, medication is one of the top expenses for veterans. Luckily, the Easy Drug Card prescription discount card can save you money at any pharmacy. The card is 100% free and works similar to a coupon. You don’t have to fill out any forms, pre-existing conditions don’t matter, and you can see the website for a price comparison list to see if the drug card will save you money on your prescriptions. This is especially important if your medications aren’t covered under your current coverage. If you are unable to work because of injuries sustained while you were in the military, or if you become injured after your service, you can be eligible for disability compensation insurance. This can provide you with a monthly income that will help you to pay any bills that you have. Additionally, the VA has life insurance policies available that are affordable so that you can make sure that you have the coverage that you need or want that will take care of your family. In addition to any medications that you take, you may have to see a doctor or health care professional. If you don’t have benefits, the cost of medical care can be astronomical. 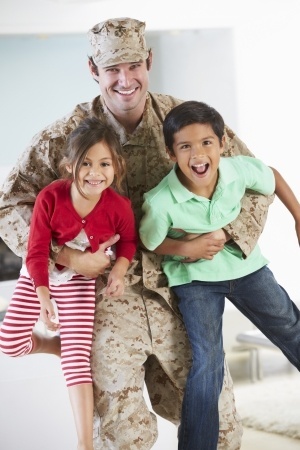 As a member or veteran of the military, you do have a selection of health benefits that you qualify for that can help from everything from primary care physician visits to mental health and /or therapy sessions and even surgeries if needed. Often times, people that come from the military are very humble and don’t want to ask for assistance and will take the hardship of finances onto themselves. Remember, you earned the right from your brave service to get benefits, insurance, and discounts. There’s a reason that veteran’s assistance exists. It’s to thank you for your service. Make sure you take the credit you’ve earned!